Vulture has apparently gotten their ears on some interesting information regarding this super secret J.J. Abrams project that everyone's talking about today. If you haven't read the post below, apparently there is a teaser trailer attached to Iron Man 2, which comes out this Friday, for a secret movie being produced by J.J. Abrams. 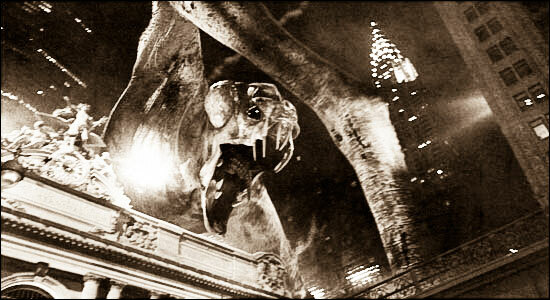 Rumors around the net are that it's a prequel to 2008's Cloverfield, but obviously nothing is 100% confirmed, although new sources have emerged in the past hour. Bloody-disgusting also goes as far as to say that this sounds exactly like the Abrams/Spielberg collaboration that was announced last month and if that is the case it's possible that Abrams will be directing as well, although other places are saying that he may just be directing the trailer and not the actual film, so who knows. Again all these details are just rumors, the teaser hasn't even been seen by the public yet so take this all with a grain of salt, but keep your eyes here for more information.